Amitabh Bachchan, Karan Johar and other Bollywood stars met Israeli Prime Minister Benjamin Netanyahu, who attended the Shalom Bollywood event in Mumbai yesterday. 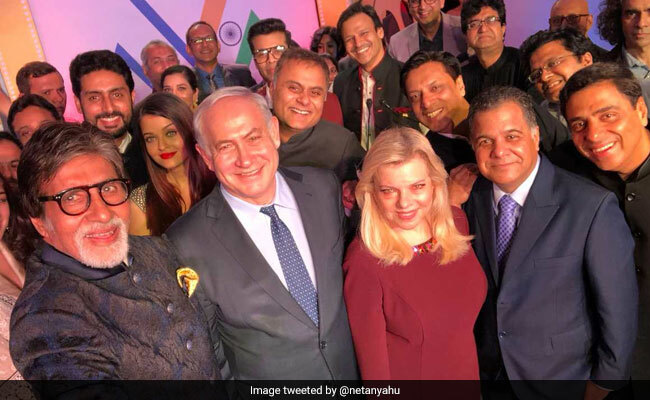 Not only did PM Netanyahu attended the much-anticipated Bollywood event last night but he also called all the Bollywood stars to join together for a selfie - which was shared by him on his official Twitter handle. In the selfie, which is now viral, PM Netanyahu was joined in by stars like Big B, Aishwarya Rai and Abhishek Bachchan, Vivek Oberoi and Madhur Bhandarkar among others. In his speech, PM Netanyahu referred to one of the most viral pictures of all time that took place at the Oscars, in which several celebrities including Brad Pitt took a selfie. Karan Johar, who also attended the event on Thursday, posted a picture with PM Netanyahu. He wrote: "A complete honor and privilege to meet with the honourable Prime Minister of Israel @netanyahu ....such a wonderful evening with friends of the fratenity...."
At the Shalom event, PM Netanyahu spoke about Bollywood and said, "We believe in you. 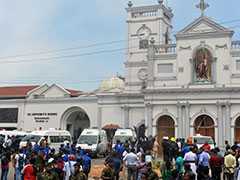 We believe in Bollywood, we believe in India." He added: "I want to make a pledge tonight, if you guys come and you guys need more, we will put in more. We want Bollywood in Israel." Praising Amitabh Bachchan, PM Netanyahu said, "I just found out that Amitabh Bachchan had 30 million more followers than I do." "I looked at other stars as well and I realised that you guys are a big thing. And the reason for that is that the world loves Bollywood, Israel loves Bollywood and I love Bollywood. We are putting our money where our mouth is." Representatives of the Israeli Consulate in Mumbai had met Amitabh Bachchan last week and extended an invite for the event. PM Netanyahu signed off the Shalom Bollywood event with "Jai Hind, Jai Maharashtra, Jai Israel".